Idaho’s salmon and steelhead are in trouble. That means communities that depend on them are, too. “For the economy of Riggins, that will just kill this little town,” said Riggins Mayor Glenna McClure when the Idaho Fish and Game Commission eliminated the steelhead bag limit in August. This year’s returns of wild salmon and steelhead are among the worst on record, and it’s a quarter century after the species were listed under the Endangered Species Act. After spending $16 billion on measures that haven’t even come close to restoring endangered salmon—even during the best years—it’s clear the federal plan to restore Idaho’s salmon and steelhead has failed. These terrible 2017 returns have three main causes. First, about half the fish are killed by dams and reservoirs during their migration to the ocean as juveniles. Second, poor ocean productivity is occurring because of a cyclical warming and cooling. Warm oceans provide less food for salmon. Third, lethal hot water in the Columbia and lower Snake that is now chronic every summer—and dramatically exacerbated by reservoirs—is killing many adult salmon before they even reach Idaho. 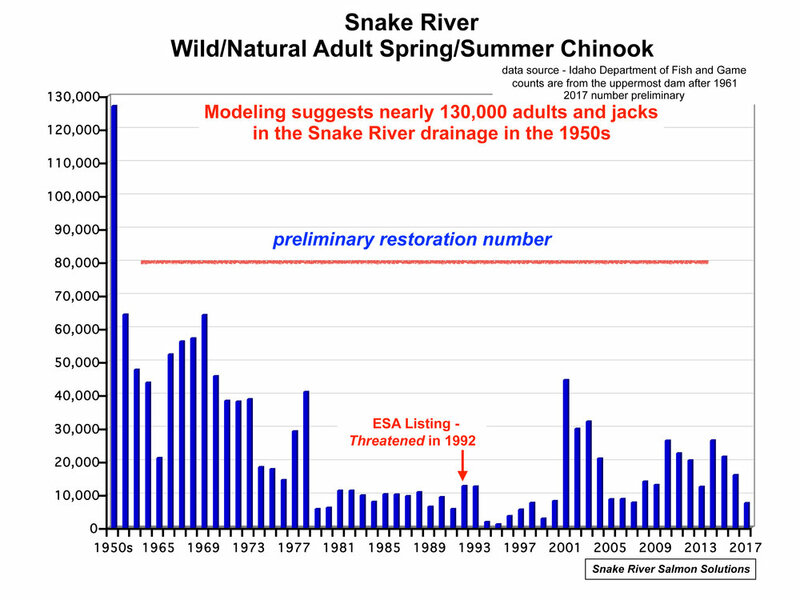 In May and June a disappointing spring and summer chinook run ended fishing seasons early. In August, steelheads seasons that allow anglers to catch and keep a predetermined limit of fish were canceled in favor of catch-and-release regulations. Harvest, with lower-than-normal bag limits, was restored in early October following a late push by mostly A-run steelhead destined for the Snake and Salmon rivers. 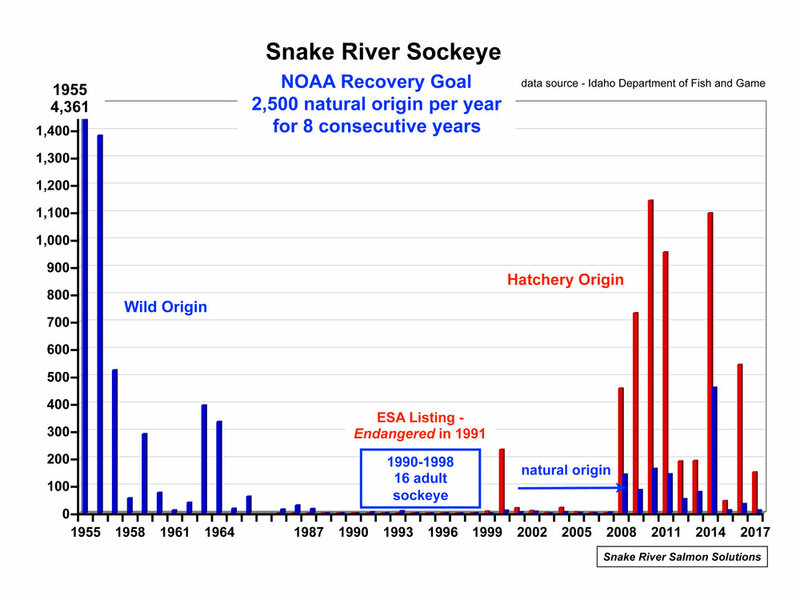 In August and September, a total of 11 wild sockeye salmon returned to Idaho. That’s less than 0.25 percent of the number needed to even consider removing the species from its Endangered Species Act listing. 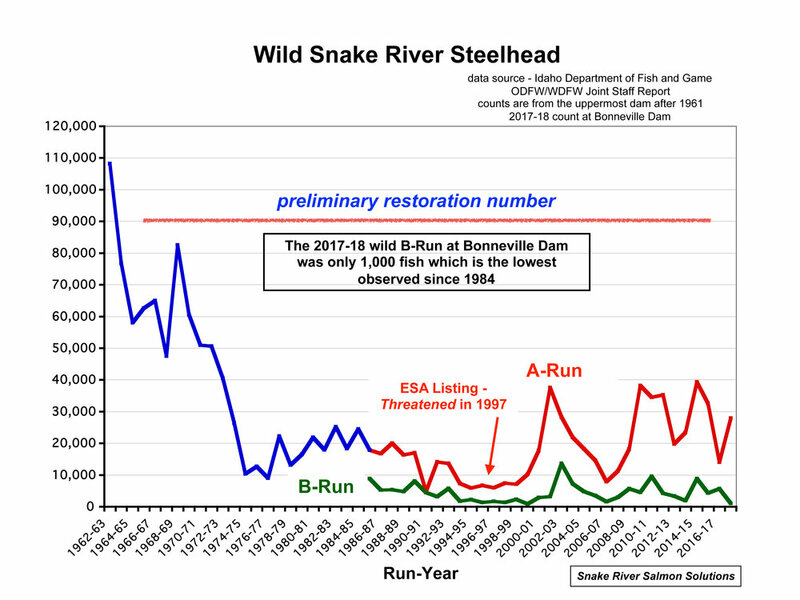 It’s time to turn away from this record of failure and turn instead toward the prosperity that’s possible when we embrace a free-flowing lower Snake River and restored salmon and steelhead. Click here to read an editorial by The Lewiston Tribune about the need for change. Newer PostStreamline episode 2: What's the deal with dams?